Stunning pearl grey evening shoes by Spanish designer Menbur. Leather lined & leather insole shoe with a 3" covered heel & padded insole. 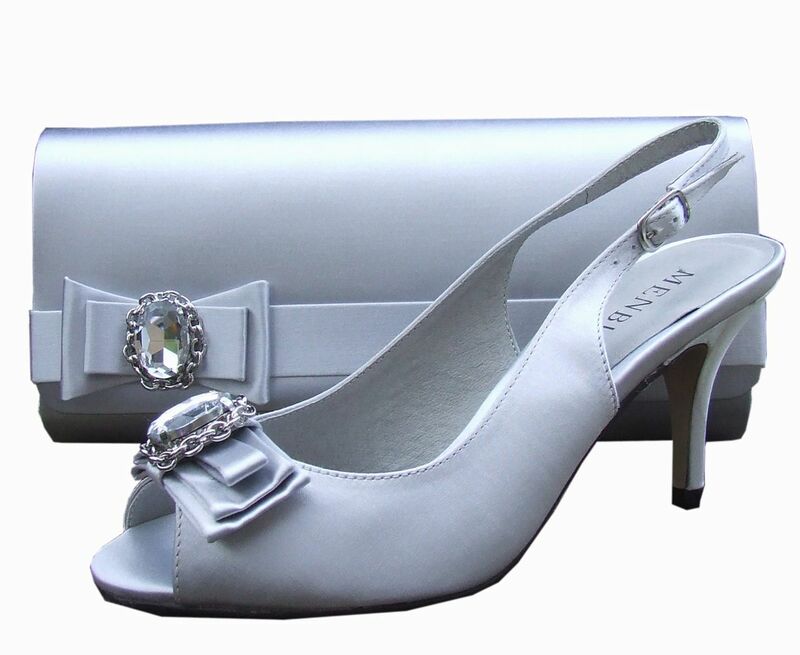 Sling back ladies shoes with adjustable buckle, bow detailing over the toe with a large clear gem brooch. A matching clutch is also available to match these stunning grey evening shoes.